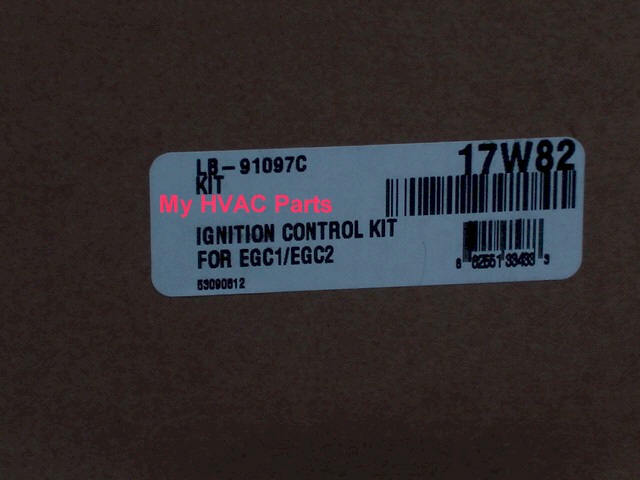 Armstrong Spark Ignition Control Module Conversion Kit 17W82 replaces 42451002. 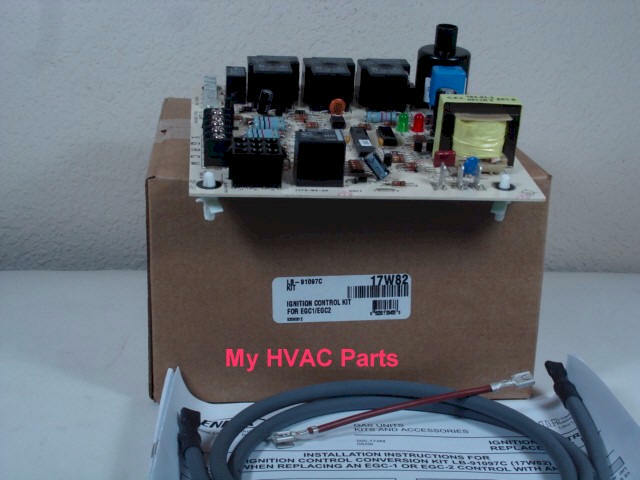 This kit contains the newest control for these furnaces as well as, an ignition cable, required wiring addition with instructions. Kit MUST be installed by a qualified individual or service company. Please read the instructions notice on the last photo. 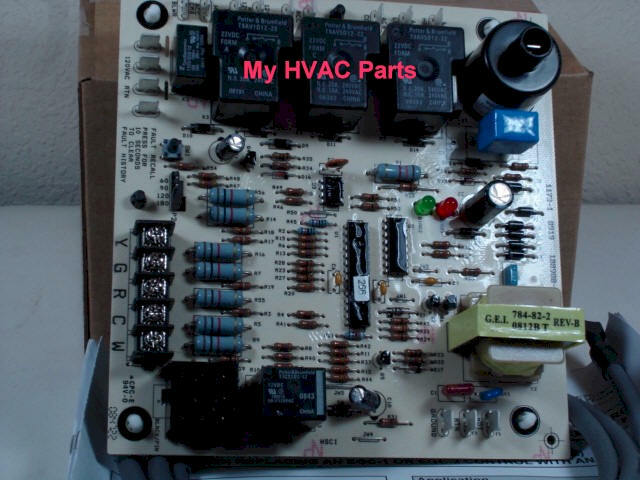 As used in Model RGU90A075D, EGC1 and EGC2 Concord furnaces. 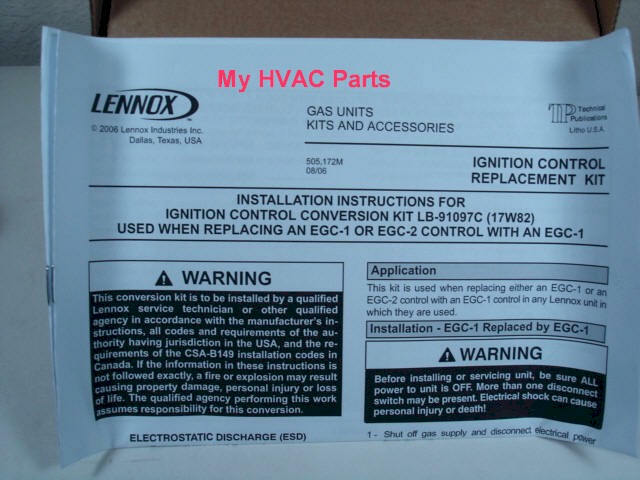 Direct from Lennox for Armstrong equipment.